In the last twenty years Antonio Gramsci has become a major presence in British and American anthropology, especially for anthropologists working on issues of culture and power. This book explores Gramsci's understanding of culture and the links between culture and power. Kate Crehan makes extensive use of Gramsci's own writings, including his preprison journalism and prison letters as well as the prison notebooks. Gramsci, Culture and Anthropology also provides an account of the intellectual and political contexts within which he was writing. 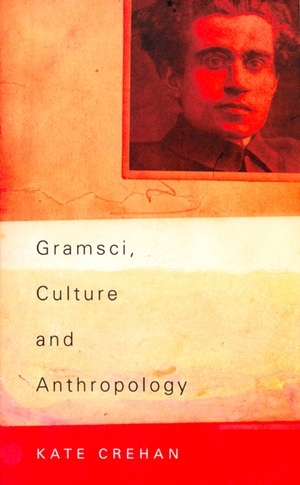 Crehan examines the challenge that Gramsci's approach poses to common anthropological assumptions about the nature of "culture" as well as the potential usefulness of Gramsci's writings for contemporary anthropologists. Kate Crehan is Assistant Professor in the Department of Psychology, Sociology, Anthropology, and Social Work at The College of Staten Island, City University of New York. She is the author of The Fractured Community: Landscapes of Power and Gender in Rural Zambia (California, 1997).